Caught by Sunday Thoughts @ LOVE! Sometimes we think love has got to be that mushy stuff plastered on anniversary cards or whispered between folks who are Seriously Serious into that commitment thing (relationships, dating, marriage??) But, for all of us (single or not) there’s that Other Kind of Love that melts our hearts & molds our minds into beautiful beacons of Heavenly Light: GOD’S LOVE. p.s. this week Virginia the Blogger is plotting to get back into the Movie groove. After starting this blog 2 yrs ago initially to be about movies (note the movie list page…. that will hopefully be updated as part of the movie blitz!) it’s Been Awhile … so, even if short reviews, mentions, links… this week we’re heading to The Movies!!! This entry was posted in Quotes, Sunday-ish Reflections and tagged faith, God's love, inspiration, inspirational quotes, Love of God, religion, Søren Kierkegaard, spirituality, theology. Bookmark the permalink. 7 Responses to Caught by Sunday Thoughts @ LOVE! 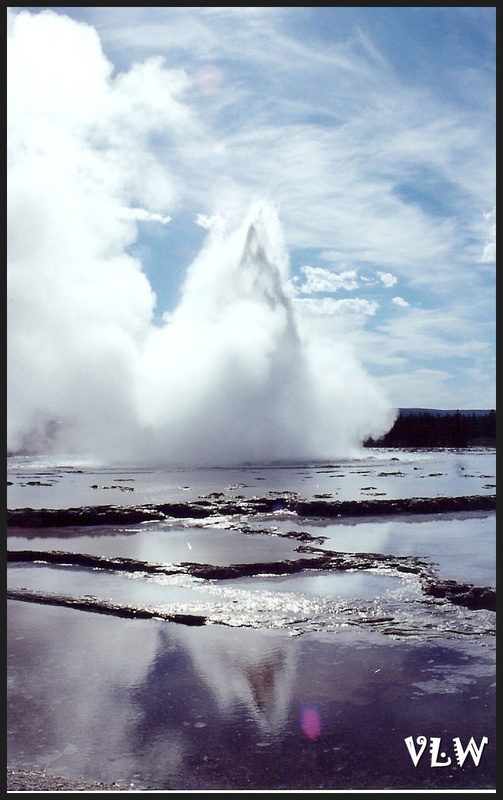 Great shot of Great Fountain Geyser and many good memories from your visit here some moons ago. Good word from Soren too! Missing you & so grateful to God for the gift of your life! Beautiful shot of the geyser! I also enjoyed the quote, now onto the movies… glad you’re back! Your guide from the ‘kiddos’ perspective of Yellowstone was so Great – kinda sorta influenced the pic selection for this post, taken during a fantabulous visit to Yellowstone years ago..